Hostel Centar I je Vas najbolji izbor smjestaja za vrijeme boravka u Banjaluci !!! Motel "Braca Lazic" nalazi se na 5 kilometara udaljenosti od centra Bijeljine, 6 kilometara od etno-sela "Stanišići" i 400 metara od banje "Dvorovi". The apartment is located in the elite part of town Blagaj , next to the UNESCO town Mostar. 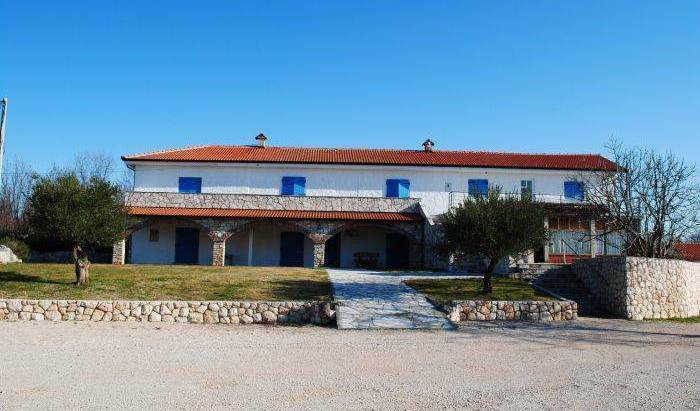 Our estate is located in Herzegovina near Medjugorje, You will be accommodated in a house of stone which has been furnished in a rustic way. Each room has air-conditioning, toilet, telephone connection, satellite TV and Internet connection. Džajića Buk Rooms is located in the village of Džajići, 6 km from the town of Konjica. The property is set next to Neretva River and features a private beach with sun loungers and parasols, a bar and barbecue facilities. Villa Flowers Medjugorje is situated in the heart of Medjugorje, on the crossroad to St. James’ church, Mount Križevac and Apparition Hill. Our pension provides spiritual and family atmosphere where you can feel at home. See you soon. Pension IVANKA BARAC is located in Medjugorje (Medugorje) , about 1200m away from St. Jakov Church. Regina Mundi is a convivial guest house with personal touch situated within minutes of St. James' church and offering great value for money. The rooms of PANSION PERO ELEZ pension are single, double, for three or four people and each has bathroom. Total capacity of the pension is about 55 persons. . The guests can use parking places in front of the pension. The prices are very suitable!!! We have 27 comfortable rooms separated in 3 floors with separate entrance. Pansion Ljubica in Medjugorje has 50 beds in 21 rooms. This pansion is equipped to fulfill the needs of pilgrims, who come in Medjugorje, throughout the whole year, we offer breakfast lunch dinner. 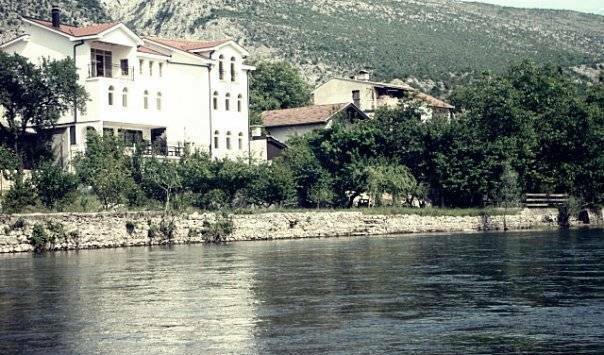 Vaš hotel u srcu Međugorja, , smješten uz vanjski crkveni oltar.. Welcome to the Medjugorje Irish Centre the meeting place for all pilgrims in Medjugorje. Established by the Mullan family from Omagh, the Irish Centre operates an apartment rental business and pilgrimage services. 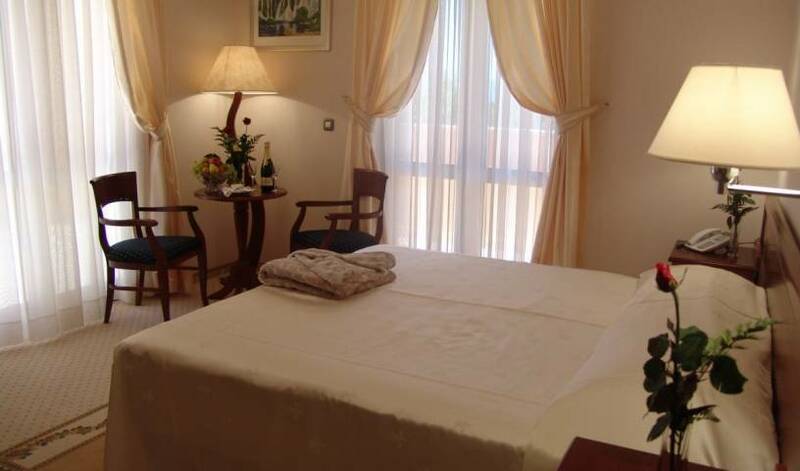 Just 300 metres from the St. James Church, Guesthouse Dolce Passione offers air-conditioned rooms with free Wi-Fi and a patisserie on the ground floor of the property. Area of our guesthouse is quiet and located 1km from center of Međugorje. Looking for peace, run from everyday life and by that experience somethin new ? All rooms are simply furnished and have air conditioning, a private bathroom, seating area and cable TV. Villa Globus is located in the very center of the city of Mostar, 2 minutes walking distance away from the Old Bridge, some 200 m away from Karađoz Bey Mosque and 150 m away from national monuments Muslibegovic and Biscevic House. Apartments Aldi Mostari a place that offeris a home atmosphere, whether you traveling alone or with your friends and where you can meet interesting tourists from all over the world. The pension has a breathtaking view of the Old Bridge and the old core of the town. Being placed at the very heart of the UNESCO zone, this pension will give you an unforgettable holiday experience. Pansion "Rose" is just a couple of minutes from the core of the old town and Old bridge. We endeavour that this 15 years long tourist tradition stay in the circle of family so that we could dedicate to our guests with all hart and devotion. Just 100 meter from the Old bridge, protected by UNESCO, 200 meters from bus and train station and 4 km from Airport, Casa Mostar offers modern apartments with a kitchen, air conditioning and free Wi-Fi. The Pellegrino apartments are part of a newly built complex in the pedestrian area between the Musala town square and the Old Bridge, in the UNESCO-protected historic centre. 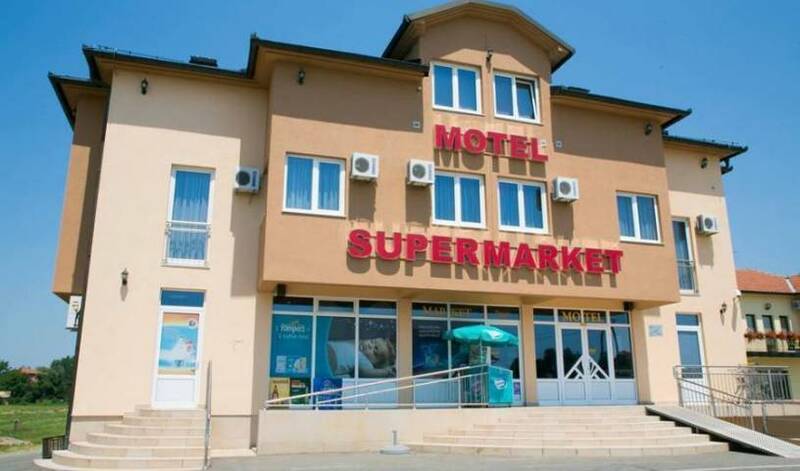 Motel Hercegovina is located on highway M-17 in Bisce polje, at the southern entrance to the city of Mostar, 2 km away from the Old Bridge and Old Town. Motel Villa Anri with a unique view of the Old Bridge is situated next to the Old town. 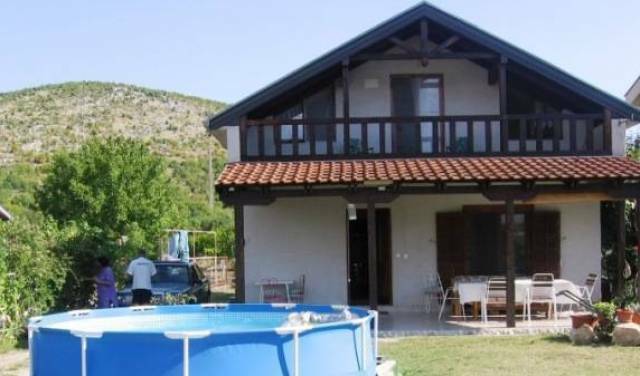 Villa “LA RIVA” is accommodate in the centre of Mostar, it’s hide from the traffic noise and it is only few minutes by walk from the Old town. The Crooked House is a old Bosnian house located in the Old Town part of Mostar. It is located only a few steps away from the Old Bridge on one side and Crooked Bridge on the other side, on one of the most beautiful small old streets Jusovina. Boutique Hotel “OLD TOWN” is a newly opened hotel wich is located in the heart of historical core of the Old Town in Mostar, under the protection of UNESCO. Through this information we want to offer you accommodation in our pension and make your staying in Sanctum of Our Lady of Peace interesting and pleasant. VESO pension is placed in Medjugorje. Its distance from the church of St. Jacob is 700 meters. A relaxing haven, in the historic interior. We are located in Neum, the only coastal city in Bosnia and Hercegovina. Whatever you route plan is, to visit Medjugorje, Mostar, Dubrovnik or Sarajevo, we are your best choice to be just in the middle of everything. Hostel INN, one name for great choice and also one name for spending great time and fun. HOSTEL IS SITUATED IN MAIN CITY STREET(MARSALA TITA 34) ENTRANCE TO McDONALDS. Haris Youth Hostel is located in oldest part of Sarajevo, only ten minute walking distance from city centre and main toursitc attractions. Hostel Franz Ferdinand is a newly opened hostel located in the very heart of Sarajevo. If you are looking for a comfortable accommodation in the center, easy on the pocketbook too, to sleep in a private rooms or mixed dorms – look no further. Sun Hostel Sarajevo is located in the city center, 50 meters from the National Theatre. Rooms at the newly opened hostel located in the heart of Sarajevo is ideal for group visits and party. The RESIDENCE is ideally located in the most historical and central area of Sarajevo, (Baščaršija), within a walking distance to all major attractions, and interesting spots of Sarajevo, with a super transport network at your door. Perfect vacation apartment in the heart of Sarajevo. IF YOU LOOK FOR GREAT PLACE TO SLEEP IN PEACE AND SILENCE, TOTAL SAFETY, CLEAN AIR AND CLEAN PLACE WITHIN SMALL DISTANCE FROM THE CENTRE - YOU ARE AT RIGHT PLACE AT HOSTEL KAN. Situated in a quiet and peaceful part of town, not more than 10 minutes from the city centre or 5 minute from the airport, this modern and comfortable accommodation offers guests a chance to relax whether they are in Sarajevo for pleasure or business. City centre hostel for people wanting to meet urban life in Sarajevo along with possibility to stay near bus & train station. Freshly renovated, located right in the central core of the old town Baščaršija. is the best place for relaxing and healing your mind while staying with our warmest, gracious and friendly staff . Come and let us to welcome you. Hotel Beograd is a 3-star winner of the Golden Rose Award of Tourism for exceptional quality of its accommodation, gastronomy and customer service. Great apartment, very spacious 150 m2. Ideal for the groups! Welcome to our newly opened apartment in which we provide you modern, comfortable and clean accomodation at a resonable price. Apartment is situated in quite and safe place within a walking distance to City center Cathedral and Old town Bascarsija. We offer 2 apartments located in the heart of a historical centre in Sarajevo which is called Old Town. It’s our pleasure to welcome you to Apartments and Hostel Rooms Castanea. Our accommodation is located in a quite part of Sarajevo’s Old Town, less then five minutes walk to the heart of the city. Visit Kandilj, and allow yourself a piece of Bosnian dream. Hostel Moonlight is located in epicenter of the old part of the city, and 50 m from Baščaršija. Hotel Octagon is an exclusive business hotel, located only 100 meters away from Sarajevo International Airport. Recently opened Hotel Union offers something for everyone. This sophisticated hotel is located in the heart of Sarajevo, close to the business center of the town, near The Avaz Twist Tower. Hotel Michele is located in the center of Sarajevo. Our 6 business apartments and 2 guestrooms have a highly unique design and are decorated with antique furniture, creating a very pleasant ambience. We are located in the very center of the old town, just 20 meters from the tramway station Bascarsija. We are nice & cozy place to stay in a heart of Sarajevo, main pedestrian zone within walking distance of all major attractions. We are pleased to introduce you to the newly opened Hostel Inn Luxury in Sarajevo. Located in the very heart of Sarajevo, the Old Town region, Hostel Inn Luxury possesses everything that a modern and luxurious hostel offers. Old town, Baščaršija, Sebilj, City Hall. 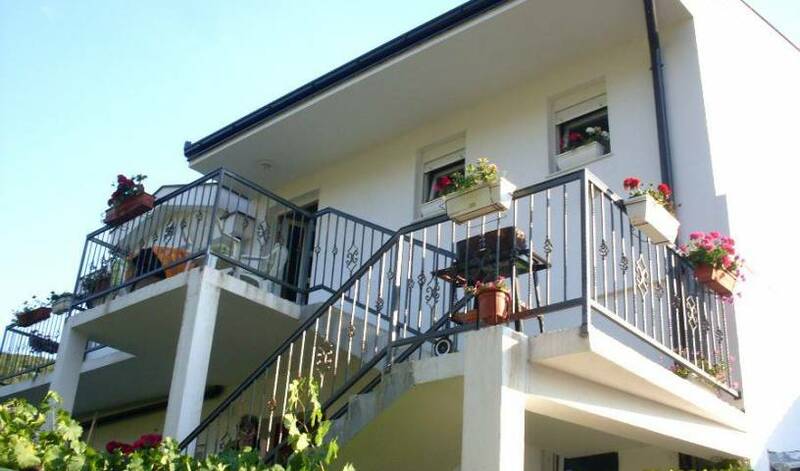 Guest House Rose is situated in the Old Town of Sarajevo. From here you have a beautiful view of the Old Town centre, Bascarsija, the City hall and all the sights such as the cathedral, churches, synagogues and mosques and more. 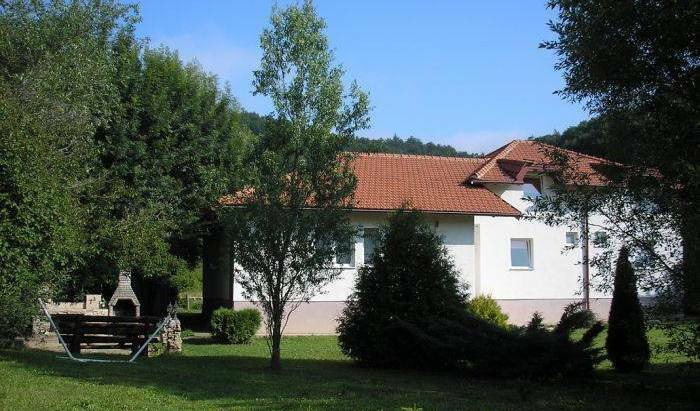 Beautifully located on an avenue with plane and chestnut trees leading to the spring of the Bosna River. Etno selo 'Čardaci' / Ethno Village "Čardaci"